Small business based in Springfield, IL that can help solve your IT problems. We partner with our customers to provide Web Design, Hosting, and IT Consulting to keep your web site or infrastructure running smoothly. Our business philosophy is different from traditional IT businesses as we do our best to to provide a permanent solution to your problem. We live in a country that is so dependent on technology. Most people assume that a business has a high quality web page. 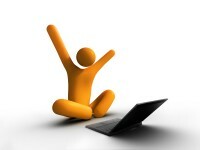 Having a web presence allows you to expand your contact list by reaching out to people outside of your community. It provides your customers with way of reaching you 24 hours a day every day. Most importantly, people will be allowed to view your page from all over the world. With hosting from TJ Squared you receive unparalleled performance and support. We do away with the normal support tier systems and you are one phone call away from talking to one of our systems engineers. 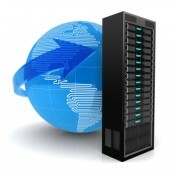 Our hosting solutions are perfect for organizations of any size and knowledge. TJ Squared is a complete IT Solutions company. If you are a start up or have been established for decades, we can help meet your organization's IT needs.